This will check on cells B3:B8 for the North region and will sum the values that correspond on cells E3:E8. If you check the formula bar, our formula will sum the values on cells E3:E8 that have the region North on cells B3:B8 and the customer “TMA, Inc” on cells C3:C8. When moving from SUMIF to SUMIFS, you should pay attention because the syntax is in a different order. Do you want to read about the syntax and usage of an Excel 2013 or VBA function in your native language and practice with a demo workbook ? There are over 600 Excel & VBA functions in Office 2013. Excel functions have been translated in 16 languages. 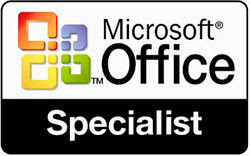 Microsoft offers over 20,000+ function help webpages in 50+ languages. How to navigate fast among so many help pages ? This free Ribbon Add-in will help you navigate to Microsoft's online help pages with embedded workbooks, which can be downloaded to your computer for function inspection and in-depth practice.